Exp359. 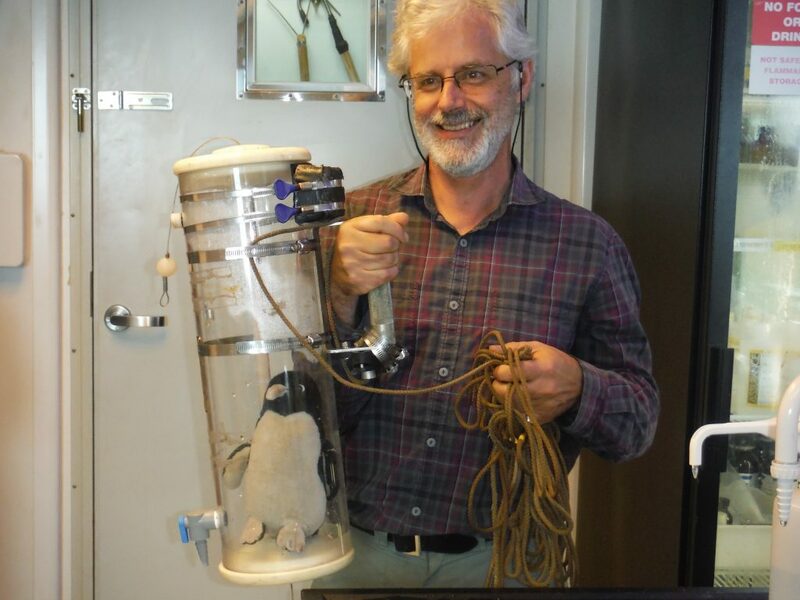 30th Oct. To collect plankton… with a pinguin ? Halloween359, quand la science inspire le déguisement.. Since our departure from Darwin Jeremy Young paleontologist at the University College of London has been collecting water samples every day with the Wildco Beta Water Sampler at approximately 15 m water depth for analysis of plankton. If the help of the pinguin is not really useful the dexterity of Lisa and Doug is welcome to lower the Wildco Beta Water Sampler ! Xiang, paleontologist of the Chinese Academy of Sciences, filters the water on micron filter before the microscopic observation with Santi paleontologist from Akita University, Japan.